Personalised Cushion and optional Inner cushion. 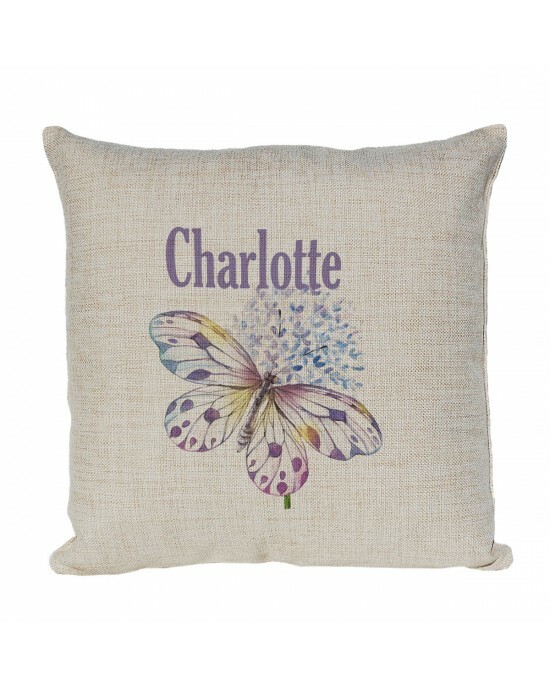 Personalised With your children's name, this pretty Butterfly in pastel colours will look great in their room. Great quality cushion cover made from a quality linen material in a hessian style in a nice light neutral colour, will fit in with most colour schemes or room decoration. 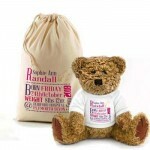 Personalised with your choice of Name or text included in the price. Each cushion will come with the design you choose from the main picture above, printed with your requested text. The cushion cover has a zip on one edge, to allow the removal of the cushion for washing. This cushion cover is in a single size of approx 400mm (16") square. The optional Cushion inner measures 450mm (18") square ensuring a nice plump overall cushion effect. 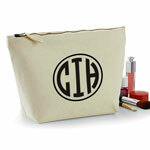 Hand Drawn Butterfly Personalised Make Up Bag Perfect Gift Idea for Her. 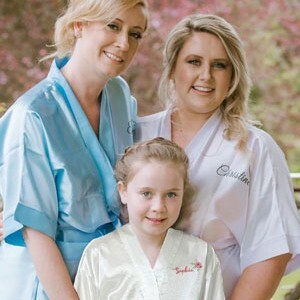 Wedding Favours Birthdays Christmas. 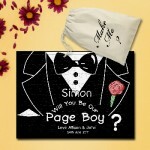 Pretty Floral Border Personalised Wedding Favour Cotton Tote Bag Wedding Party . Available in two sizes. 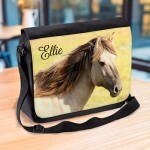 These personalised wedding tote bags are especially for your wedding party: bridesmaids, flower girls, mother of the bride can be personalis..
Quality Personalised Kids T Shirt. A very pretty Butterfly design in pastel colours and personalised with a name if you want it. Girls In sizes 3 yrs..